Working with Dark Mofo on the 2014 Winter Festival! We took the opportunity on Thursday 12th December to celebrate with our industry these achievements, as well as recognise the people in our industry that really make this region a great visitor destination. It only leaves me to say please have a safe and happy Christmas break â€“ enjoy your time with friends and family â€“ and if theyâ€™re from out of town, do make use of the TNT Local Host program to show off a bit! 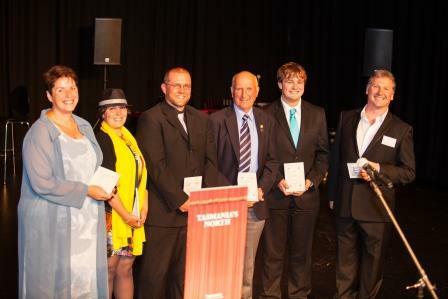 On Thursday 12th Decemberas an industry we celebrated our Champions of Tourism at the Earl Arts Centre. 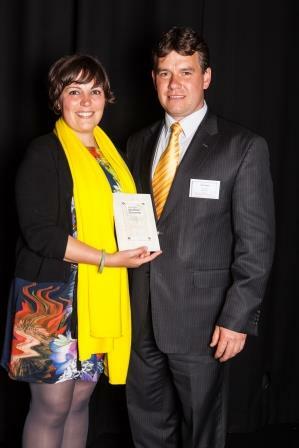 Co-hosted with the Tourism Industry Council of Tasmania the night was an absolute blast and our 2013 Champions were well and truly recognised for their remarkable efforts during the year. TNT launched the Local Host promotion on Saturday 7 December. There will be dedicated TV and newspaper advertising focused on northern locals leading up to the Christmas break. Itâ€™s not too late to get involved. Please go to www.tnt.org.au to submit your Local Host deal and get more of the visiting friends and family market into your business. See all the Local Host offers promoted on our consumer site. TNTâ€™s consumer website is now live, and will continue to be updated. Weâ€™ve just introduced a great new search function which will allow users to filter their search by area or town, traveller type, date, price range and a whole assortment of other useful categories. It is essential for all tourism operators to ensure your listing is up to date. Our website is fed by information contained in the Tourism Tasmaniaâ€™s database: Tigertour. We cannot manually update your listing, the only way to make changes is to email them to Tigertour. Expect around 48 hrs turnaround for changes. All changes will reflect automatically on our site once theyâ€™ve been made. Have you joined our Stakeholders group yet? This is an invitation only group â€“ just between you and other interested tourism people. Itâ€™s a private group where we can post updates, ask questions, start a discussion, promote something to the industry etc. Ask to join the group â€“ weâ€™ll let you in, promise!